Is Your Lack of Sleep Keeping You from Achieving a Healthy Weight? When we think about weight loss, we typically start thinking about changing two things; improving our diet and embarking on an exercise program. But ask yourself; is getting a good night’s sleep as high on your priority list as your diet and exercise? There are two major hormones that contribute to how successful we are in our nutritional efforts to be a healthy weight; leptin and ghrelin. 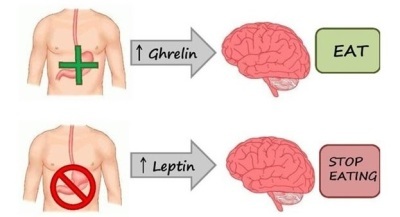 Leptin is a hormone produced in the fat cells and is responsible for sending a signal to the brain that you are full after you have eaten enough. Ghrelin is produced in the gastrointestinal tract and sends a signal to the brain to let you know that you are hungry when it is time to eat. When quality sleep is compromised in the body, leptin levels are decreased which interrupts your body’s ability to determine that you are full; this will typically lead to overeating. In addition, ghrelin is produced in higher amounts which means your body is sending a signal to the brain that it is time to eat even when it is not; this too can likely to lead to overeating. People who sleep less are more likely to crave high carbohydrate and sugary snacks instead of the nutrient dense foods that will help you lose weight and nourish your body. Think about it; the last time you were short on sleep-were you more likely to crave a donut or a nice kale salad? One of the reasons this happens can be traced to another hormone called insulin. Lack of sleep can lead to decreased insulin sensitivity. Insulins job is basically to help our body use the sugar or carbohydrates we eat. Insulin helps us take sugar out of our blood and deliver sugar to our tissues where it can be used for energy. Without adequate insulin sensitivity, our body can’t adequately use insulin which means it can’t adequately use the carbohydrates you have eaten and so you crave more. It’s like having money but not being able to find it so you need to find more money. Numerous studies have demonstrated that inadequate sleep can quickly lead to a decrease in insulin sensitivity (Flint et al. 2007; Buxton et al. 2010). Make the room as dark as possible. This means putting your phone upside down on the dresser, turning off the TV, not using a tablet or laptop in bed, and blocking any other sources of lights such as cable boxes, Sources of light after dark suppress the production of melatonin in the brain making it harder to fall asleep and stay asleep. Your brain basically still thinks there is stuff to do so it doesn’t make it easy to fall asleep. Set your thermostat to COOL. 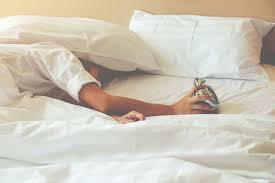 Many sleep experts say that a cool room, somewhere around 65 degrees, makes for the best sleep. Whether or not you realize it the next day, sounds can alert your brain and disturb the continuity of your sleep. So creating a quiet bedroom environment is key to a full, healthy night's rest. This means not falling asleep to the television. If live in an area where there is a lot of noise outside that can interfere with sleep, a white noise machine or app may help to block out some of the sound. White noise works by reducing the difference between background sounds and a "peak" sound, like a door slamming, giving you a better chance to sleep through it undisturbed. For more information on sleep and why it is important, visit www.sleepfoundation.org. For helpful tips on getting more quality sleep visit www.sleep.org.